My *PINK* Life: The Nursery Reveal! Aaahh, the room I have been waiting to show you for over a year! Yes, it really did take that long to finish (actually, it's not even quite done yet). And, no, it was not supposed to take that long. Three months at the most. But you know how it is when you do all the work yourself. Somehow, it just dragged on and on. I'll start with some before photos. I must warn you, these are truly heinous. I think when you see them, you'll understand why. This little add-on room was used for storage, and we decided that it would make a really cute little nursery. It started off with the typical 70's paneled walls (no insulation), tiled ceiling, ancient windows, concrete floor, and a door that was unusable. *Ripped out all the paneling and ceiling tiles. *Installed new insulation and drywall. *Installed beadboard and crown moulding on the ceiling. The beadboard ceiling is my very favorite feature of the room. Since the ceiling is low and slanted, I wanted it to look like it used to be an old porch and thought the beadboard would really bring out some of the character of the room. I painted 18" stripes on the wall using Frogtape to tape off the edges (best stuff ever). The paint colors are Olympic Diamond Mine and Olympic Drifting Dune from Lowes. Then I painted the lettering on the walls, inspired by the old song "His Eye is on the Sparrow". I wanted the room to have a natural, nature-inspired feel and wanted it to be as calm and serene as possible. I know that you're "supposed" to have bold graphics and colors for a nursery to help with your child's sensory development, but I was totally selfish and decided that the room would be about what I wanted (aren't I a baaad mama??). After all, after delivering a baby and hardly getting any sleep, I'd much prefer calmness and serenity, to bright colors and cartoon characters. Just my opinion. I had painted this toy chest that I found at Goodwill a while ago. It fits into the room perfectly. I sketched the tree on to the wall and painted it with acrylic craft paint. I made the bumper cover using an old white quilted throw and some new green fabric that I sewed together. I also made the dust ruffle using a twin-size white dust ruffle and added the green fabric to the bottom to make it wider. Almost everything in this room was thrifted or made by me. I found the tab-top Martha Stewart curtains at Goodwill and sewed brown fabric from WalMart to the bottom to make them longer. I used branches I found outside for the curtain rods, adding to the "natural" feel. And, they cost 0 dollars, which is always nice! For now, Jack is using this room, while I turn his old room into a "big boy" room. Then, when the baby comes in November, this will be his/her room. I'm still working on the wall that's not shown, which houses a changing table and some organizational stuff. And hubs is installing a laundry chute...everytime I think of it I hear the angels singing. I am THAT excited!! I am not even kidding!! The room is teensy-tiny, so it was hard to get good pictures, but you get the idea of what it looks like now. I am in love with it. And so glad to be (almost) done with it! It is a good feeling! I love the beadboard ceiling too! Did you use beaboard sheets or individual bead boards? Lisa - we used 4x8 beadboard sheets for the ceiling. Amy - yes, I just freehanded it and filled it in with paint. Gorgeous! Love the calm feel of the room. I ADORE this room! I am expecting my 2nd baby (a girl) on July 5th and have been getting her nursery...which is also my toddler's room...ready for her arrival. I love the calm and "grown up" feel of this room. Who says that nursery's have to be all cartoon characters and trains and stuff?? Not me! You did an amazing job!!! I just found your blog through a link one of my friends put on facebook. I had fun browsing your blog. i love your style and the nursery turned out really beautiful! I'm from PA too. Berks County now, but lived in Lancaster Co. for a few years and have family there. It's cool to find fellow bloggers who live relatively near you. I love vintage and shabby chic stuff and love flea markets and thrift stores, so your blog was interesting to me. I have a paper crafting blog where I sometimes feature items I found at goodwill into fun one of a kind decor pieces, so I felt like I totally "get" you! Oh, and I noticed your last name is Weaver too! LOL! I'll be sure to stop by and visit some more. BEAUTIFUL job on the nursery! I LOVE it! And I am so very impressed with your painting skills! I was going to ask if it was Uppercase Living. . . is the tree branch on the bench and the name from UL? Just curious as it looks so much like it! I probably wouldn't be a Demonstrator for Uppercase Living if I could paint like you could! let me pick my jaw up off the floor now! in awe! Beautiful room. You and your husband should be really proud of your hard work. I bet your kiddos will appreciate a calm, serene space to sleep. I know I would! You did a fabulous job! I love all of the little details! I love this nursery. Its beautiful and timeless. I have always loved this song, and I think the room turned out really great--serene and beautiful! I love this!! Those colors are fantastic--I'm so glad you shared them with us. Fabulous job--really fabulous! aimee, you are so amazing! i just don't know how you do it! your little one is going to be so lucky to have such an awesome mommy. Your nursery turned out fantastic, I just love it!! Stunning! What an unbelievable transformation. I love the tree and all the quotes on the wall. So soothing and peaceful! wow wow wow wow wow. i LOVE how nurseries are becoming so sophisticated these days, and this is the perfect example. i feel like this room belongs in a pottery barn catalog or something. it's truly stunning. Hi I saw your link on Sugar Bee, and your nursery is beautiful!!! Following you now. Great post!! This is gorgeous! I especially love the tree. The color scheme is so restful. Thanks for sharing! Wow! You are incredibly talented. The room came together so well and it looks so relaxing. What a great room to rock a little one in! It's beautiful! And it looks HUGE, to me! Much bigger than what baby uses. It's beautiful! What a wonderful little nursery! It's really beautiful. great room! I love seeing a nursery that isn't so "cartoony". Stopping in from TLC to let you know how beautiful this room turned out. I love the branches. It's all very serene and restful! Could you give me some more specifics on your lettering? Did you use stencils or do it freehand? I am looking to do a quote in our Master Bedroom, but have been pondering the "how to". Love your quote and have sung the song many times at church. I want to do "Be still and know that I am God." I do appreciate your help. I came over from Layla's blog and I LOVE your nursery, you did an absolutely phenomenal job. Breathtaking-it's so calm and serene-I love the theme. Such a sweet room! I love that you used the wonderful phrase from the hymn and the twig rods- so sweet! What a sweet nursery! Great job! I am so happy to have found you! This is a beautiful, beautiful post that I can't wait to share with my daughter who is moving shortly and can't wait to do my Grandson Charlies room. I've seen lots of boys rooms but this is my favorite! I saw you over at TLC and had to come see! It's gorgeous, it's the perfect babies room, so crisp and dreamy, I love it! All your projects are amazing! This is amazing. Awesome job guys. That is one lucky baby! Love the baby's room. Really, beautifully done. Love the song and words you chose for the walls. I absolutely love this room! Possibly my most favorite nursery I have ever seen! I love the colors and the beadboard and most of all..."His Eye is on the Sparrow". One of my all time favorite songs. It brought me such peace just to read the words of the song again. Thank you for including them in your post. So pretty and calm, I agree, so much nicer that way. Beautiful job! Hi there! Came over from Layla's blog! Your nursery is gorgeous! I came from Layla's blog... your room is gorgeous and the song you chose is one of my all time favorites. Nicely done! I can't wait to explore the rest of your blog. Beautiful!!! I so want to paint stripes in my house...yours turned out awesome! New follower from TLC.. Great work. I thought at first it was a pirate theme with "Jack" and "sparrow", from Pirates of the Carribean, LOL. You are so talented! Love how the nursery looks. Did you use tree branches for curtain rods or did you buy them. If so, please, please tell us where. Thanks! LOVE it!! One of my favorite hymns... love the big tree and branches for rods. Always have wanted to do this. So glad Layla shared you with us! Such an inspiration to me.. where can I paint a big tree in my house..hummm Way to go! First time @ your blog. The nursery is gorgeous. You did a great job! This post is more than just a reveal .. What I needed today was to see and hear the song.THANK YOU! I love your nursery! It makes me want redo my son's room. I especially love the words from the hymn...What a great reminder to not only our children but to us as well. My, oh my...what a creative genius you are and a what hard-working talented husband you have! I can't believe the metamorphosis of this room. Seriously, it could win a contest! I am a new blogger and I found you from another blog who posted on your nursery. I would love to have you stop over and look at my blog: GraciousInteriors.blogspot.com. Today, I am posting pics of a project I have in the works--redoing a playroom for my granddaughter and grandson. Meanwhile, the post I have up is of another grandson's first birthday party. Your room looks amazing! We just did what looks like the same renovation to a space that was our sunporch and is now my office. I moved in last week and I'm in love! My old office is now going to be our nursery in a few years (we hope). Beautiful work! I love your nursery! I'm pregnant and due in November too!! So I've been starting to look for ideas for a nursery. I don't really like all the crazy bright stuff for the nursery so I'm totally in love with your room makeover! Thanks for sharing. I'm new to your blog and LOVE it! Love your ruffled bag too! I can't wait to have a kid so I can do a room JUST LIKE THIS. Maybe I'll do it just for me. What did you use to attach the wood sticks as curtain rods? I've been looking to do this in my bedroom as I kind of have a tree theme. I live in the high desert so I'm either going to order the branches (i know this pretty much defeats the cheapness of the wood....but i need them pretty long). I'm thinking of using big metal rings. The room looks so fabulous and peaceful. Makes me kinda wish my two are younger. Layla and Kevin definitely have some great inspiration going on at The Lettered Cottage. Beautiful! What a lucky baby. Good for you, momma! Just darling! You did good girl, and hubs! That song brings me to tears now as it was my Dad's fav and he passed in Feb. But such a fitting sentiment for a little one. The room looks amazing...love the neutral colors and natural feel...it's perfect! Hey Aimee. 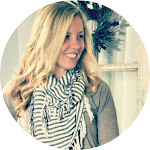 I just learned of your blog from Layla at the Lettered Cottage. Lovely nursery! This room is so clean, calm & inviting. Jack is so lucky. I love it! Hi Amiee. I just saw your room on Southern Hospitality. It's incredible. You and your husband must be so proud. I'm so envious of your talent. Every detail is wonderful. Thanks for sharing it. It's perfect! So soothing and simply gorgeous. I love it all! I'm so glad I came over to look at your beautiful room! You are very talented and I absolutely love it. The hymn is one of my favorites and I appreciate your sharing the words. Everything is just amazing! I love it! I found you via Layla's blog. I'd love to see a shot of just the ceiling beadboard. I'm thinking about beadborading my boys' bathroom walls but I'm a little worried about the places where the sheets come together. I'm featuring this over at life as lori.. WOW!! That is all I can say. I love all of this! I am featuring it as part of my "Look at Me" Party...come by and snag a featured button. Thanks for linking up. Fantastic job on the room!! this is so beautiful! great job! i too love the beadboard ceiling. i'm thinking about using the beadboard wallpaper in my daughters' room. Beautiful nursery. You are amazing! And you would have no idea that it is a "tiny room" given what you've done with it. I feel more peaceful just looking at these pictures. What a transformation. gave you an award at my blog!!! Hi Aimee! When, I saw your nursery, the first thing that came to my mind is how amazing your choice of colors are. You have a very good eye for interior design. I am in awe when I saw the tree and lettering on the wall. Great job! We, too, are almost done with our nursery construction. What I like most are the cute decorations that my 10 year old daughter made as a gift for her newborn brother. She also helps mommy in polishing the new hardwood (Tampa) flooring. Having a baby is such a happy time for the family. Thanks for sharing this inspiring nursery design, Aimee! I love Jack's room. The best part are the verses on the wall. Knowing God the Creator is watching over your son gives you peace I am sure. It is a beautiful nursery and very inspiring. Gorgeous! Wish I were crafty! Beautiful!! I totally agree with you on the calming and neutral colors - I think I would do the same! I love this nursery!! I am due in Feb and have been looking everywhere online for good nursery ideas. This is my favorite I love the stripes on the wall. I dont like bright colors and cartoon characters either! I may "borrow" your stripe idea if you do not mind!! What a beautiful nursery! The colors are amazing. My favorite is the tree on the wall. Such an incredible idea! My wife Kristine is four months pregnant and we're renovating the nursery at the moment. As you can imagine we have men who are in the house doing the remodeling. Minneapolis is our new home and we just moved in three weeks ago. Glad that we have friendly neighbors who suggested these highly skilled remodelers, Minneapolis based. We're definitely right on time to finish the overall project. I can't wait to see the finish room. Thank you so much for the inspiring nursery room idea! Oh my goodness, this is a beautiful nursery....and i LOVE LOVE the theme being His Eye is on the Sparrow!! Just absolutely gorgeous! You are so talented. You have inspired me to get back into my blog again. I know my blog is lonely, as I had left it to pursue a new job and then kiddo's started new phases of their lives, kindergarten and another one starting high school. Any how I'm going to get back on it!! Keep up the awesome work, you are amazing!!! Found this through Pinterest, which led me to TipJunkie's main page and I searched for you there....I looooooove this nursery! We're going for a similar look in our nursery, but with light slate-blue walls. I was trying to see where you got your tree from, and I see you painted it!! Since we're renting, we're trying to avoid painting designs on the walls, so I'm either going to use vinyl or fabric ironed onto the wall...but I'm going to use your tree as inspiration!!! Thanks!!! You did a fantastic job! !